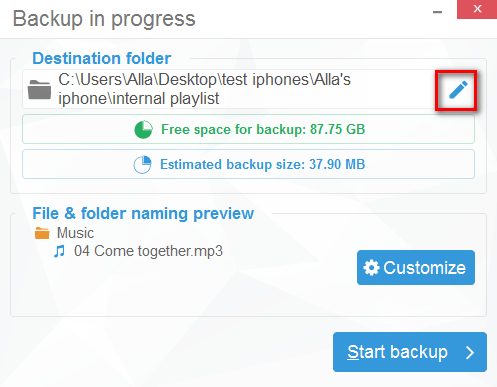 Home » How to transfer iPhone playlists to PC? 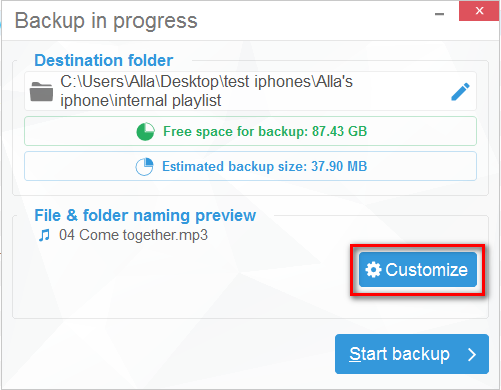 The following tutorial demonstrates how to backup and transfer iPhone playlists to a computer. 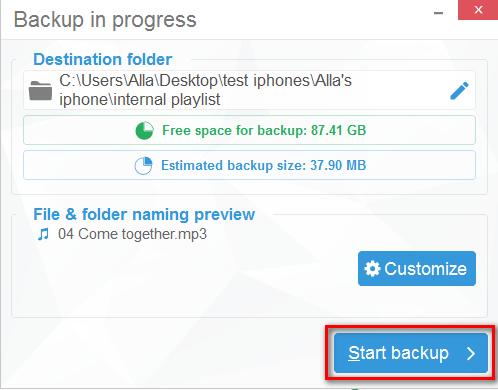 The method also allows to back up playlists from any other Apple iOS device such as iPod, or iPad. NOTE: playlists that were created directly from within the iPhone will not be displayed. To transfer those playlists to the PC, you need to sync the iPhone with iTunes but only AFTER ensuring that all iPhone tracks and playlists are already loaded in your iTunes library. Otherwise you risk iTunes deleting some or all of the iPhone tracks. CopyTrans will now begin the backup operation. Only songs and playlists which are not already loaded in iTunes on your PC will be transferred. Hence, duplicate tracks or playlists will not be created. At the end of the operation, disconnect the iPhone and close CopyTrans. Run iTunes. 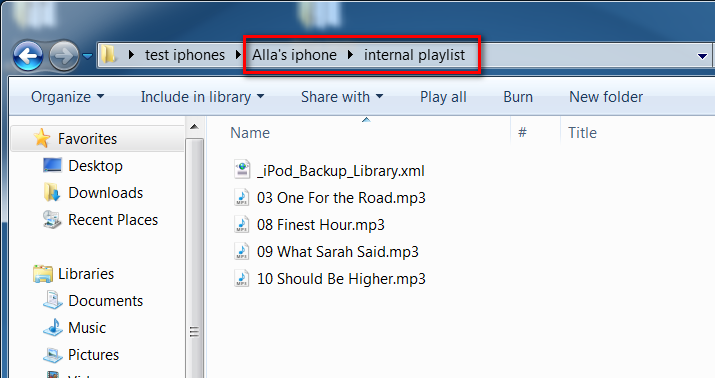 All the needed iPhone playlists along with their contents are transferred over. 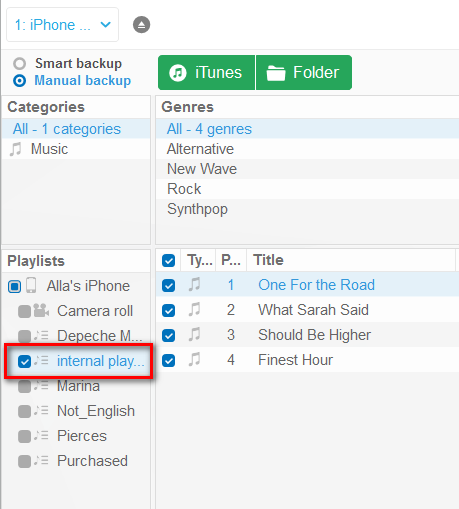 Choose the iPhone playlists you wish to transfer to the PC from the Playlists panel by checking the box next to each playlist entry. 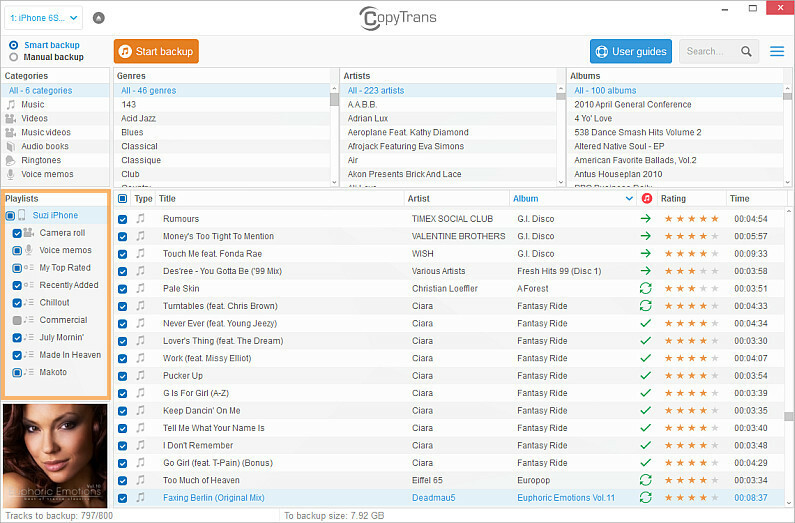 If you want each of your playlists saved in a separate folder, you’ll need to transfer your playlists one by one. 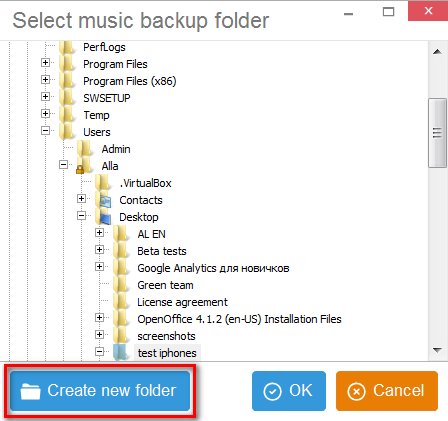 To back up the playlist to a selected computer folder, click “Folder”. Click the blue pencil sign to choose the Destination folder. Then click the “Create new folder” button and name the new folder after your playlist. 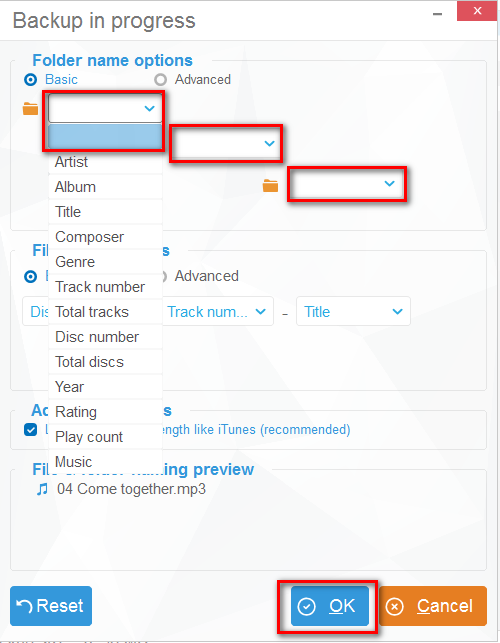 To choose how your tracks will be organized inside the folder, click “Customize”. If you prefer keeping all the tracks from a single list in one folder without creating new subfolders, just leave all the fields empty. After you have adjusted your backup settings, click OK and start backup. Here we go! 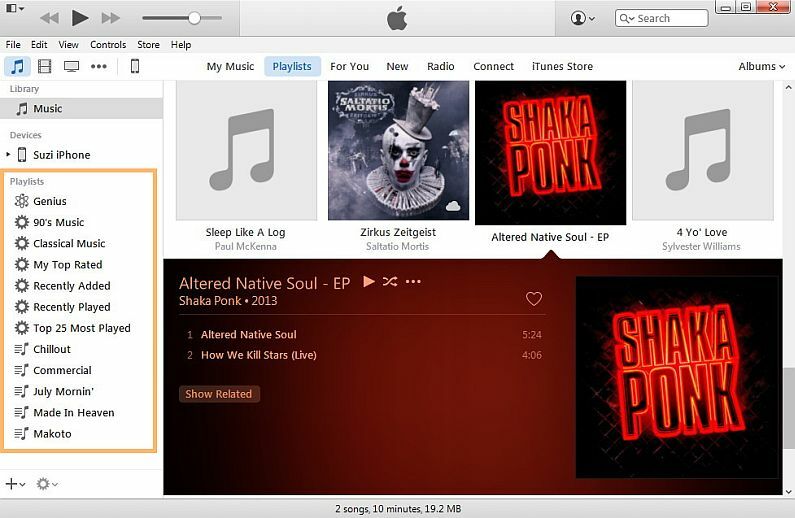 The selected iPhone playlists are transferred to your PC.